Arjuna (Fictional Character): Krishna, In Maharashtra 32 New Check Post have been constructed, it means that on Maharashtra border every Inward and Outward movement of goods will be examined. Will it increase difficulties & problems of business people? Kindly give us brief information and reasons behind introduction of Check Post. Krishna (Fictional Character): Arjuna, There is nothing new in it, many states such as Gujrat, Kerala, Tamil Nadu, etc. are having check post since many years. Tax Collections have increased considerably as well as Tax Evasion is reduced to a large extent in states implementing Check Post system. As compared to other States Maharashtra was lacking behind. Although Late but Maharashtra Government has realized this & are likely to introduce Check Post. Arjuna: Krishna, when will be the check post rule applicable? Krishna: Arjuna, Sales Tax Department of Maharashtra has published proposed “Border Check Post Rule” & Further suggestions are invited from business people upto 25th July 2014. Thereafter these rules are likely to be made applicable. Arjuna: Krishna, To whom will be the Check Post Rule applicable and How will they be Implemented? Krishna: Arjuna, Listen carefully ! Border Check Post Rules are applicable to every person who brings in the goods from outside Maharashtra or who Sends goods to person outside Maharashtra. Further these Rules are also applicable to transporter who transports these goods. 1) Person who receives / purchases goods from outside Maharashtra is required to upload “Form 901” (E-Way Bill “Inward”) on www.mahabcp.in website. For uploading the form one has to get register on the website. For Example – If a person of Maharashtra purchases goods from Gujrat then the purchaser i.e person of Maharashtra has to upload“Form 901” (E-Way Bill “Inward”). 2) Similarly person of Maharashtra who sends/ sells goods outside Maharashtra, then the seller has to upload“Form 902” (E-Way Bill “Outward”). 3) These Rules are applicable to transporter of Goods also. Every Transporter while bringing goods in Maharashtra or taking goods outside Maharashtra has to upload “Form 903”. 4) If the Goods while being in transit pass through Maharashtra, For e.g Goods are transported from Gujrat to Andra Pradesh & while such movement of goods, they pass through Maharashtra then the Transporter has to upload “Form 904” (“Transit Pass”). 5) After Examination of every consignment and E-waybill on Border check post, goods can be removed from/brought In Maharashtra. Arjuna: Krishna, What are the details to be furnished in the “E-Waybill”? Krishna: Arjuna, In this “E-Waybill”, Person who Sends or Bring goods has to furnish TIN number (If Registered under MVAT) and Unregistered person has to furnish PAN, TAN or Aadhar card (any one) along with Name of Business Entity, Address, Phone number, E-mail ID, Details of goods, Transaction type i.e Import, OMS Purchase / Sales, Export, Goods Return, Branch Transfer, Job Work, etc. Further Expected date of entry/exit of goods in/out Maharashtra, details of Goods i.e Quantity, Price, Weight, Taxable or Exempted, Full Name of Transporter, Lorry/Truck number, Lorry receipt number etc. information is required to be uploaded. Transporter of Goods is required to furnish information such as, Details of goods transported, Driver’s name and License number, Details of purchaser and seller, Details of truck/lorry, etc. Hard copy of all these documents should be carried along with and produced at check post. Arjuna: Krishna, What are the Rights & Duties of Check Post Officer? Krishna: Arjuna, Check Post Officer can examine the consignment & make correction in “E-Waybill”. If incorrect details are furnished officer is entitled to issue notice in “Form 905”. Complete consignment can be seized in case of fraud and misleading information. Further this shall be intimated to Sales Tax Department, RTO, etc. So, all Business Entities and Transporters are required to furnish True and correct information. Arjuna: Krishna, what if goods are brought in or sent out for Personal Use? Krishna: Arjuna, as per Check Post Rules, If Goods are brought in or sent out for Personal use E-Waybill is not required to be uploaded. Further, where an individual purchases the goods from outside the state not for business purpose, the consignor of the goods, who is an business entity shall upload the “E-Waybill”. For Example – Goods purchased from Flipkart.com for personal use in such case the seller i.e Flipkart will upload the “E-Waybill”. Arjuna: Krishna, What business men should learn from these New Check Post Rules? Krishna: Arjuna, All goods transported from/to Maharashtra by any means of Transport viz. Air, Water, Railway or Road will come under the purview of these Rules. This will provide all information to government in Electronic/computerized form. Neither Purchaser nor Seller will be able to hide any information. Transporter is also required to maintain proper records. This will help in reducing tax evasion. All the departments including Income Tax, Sales Tax, Excise, Service Tax etc. will get all the required information easily. Dealers will have to be careful while applying for C/F/H Form. Continuous surveillance through CCTV cameras will reduce crime. Thefts of goods and vehicles will also be reduced. More than 200 crores of Rupees have been invested in implementation of these check posts. Business people will be burdened with additional law compliance, but this will benefit the law followers, because earlier those who did not comply the law were able to sale their goods at comparatively lower rates than those who complied it. This will help in making business more transparent which will be beneficial for one and all ! 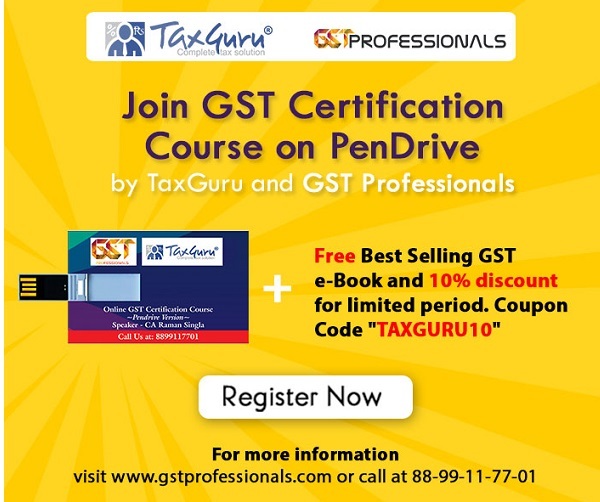 Dear Taxguru lovers, your valuable comments please on this important matter. what is transport ID ? who is allot the Transport ID & what is the procedure? no registration for personal use..strange. my question to govt is why so easy and transparent rules with less penalty for online sellers like snapdeal and flipkart? ok, we will accept this rule introduce by our government, but there are lost of difficulties while feeding form No. 901, such as transporter is not registered, see transporter of outside Maharashtra is a way to deliver goods to Maharashtra, but he is not any concern about our sales Tax Department, then why he also registered himself on our site, and 2nd problem is, let us assume that we purchase material from gujarat, then transporter have two choice, he may be entered in Maharashtra from Mumbai or Nashik, how can we define from which border he will cross. if he deliver part load, he may decide which is suitable route to come in Maharashtra. Sir, we sold our material all over India and I have handle lot of road permit of different state, but Route is binding on Transporter nor Transporter registered himself on such state sales tax site. Drill Down list of Transporter is not comfortable to purchaser or seller, Our Government must have remove drill down list and give Entered Field. The points/doubts raised by Mr.Rajesh are really considerable looking to the availability of facilities and awareness among the class of people involved in such type of activity in India or Maharashtra. While trying to upload E Way bill, In transporter Name, we are unable to select Transporter Name ware as it is a Drop down list containing limited transporter names ( only two to three transporter names and for some locations it is blank). Pl. adivce how to handle this. Author Shri Umesh Sharma should have clarified confusion created amongst commentators as seen from posts. I would like (as I understood)to clarify where the issue rests at present. Vide Notification dated 23rd June, Government has framed and informed draft rules proposing to establish check posts at various points at border and also within the state.The notification called objections / suggestions from public and clearly mentioned that these draft rules will be taken in to consideration by the government of Maharashtra on or after 25th july having considered objections and suggestions received. Government had called objections / suggestions from trade and business community (which can be affected) and the same were to be submitted by 25 th July at address mentioned or on E mail provided. So it is quite clear that these rules have been framed but still in consideration stage and most probably be implemented after considering objections / suggestions received from public. Author should have highlighted it prominently, providing link to access draft rules and should have urged people to go through and register their objections by 25th july. If rules are not amended suitably, it is not possible to follow and trade and industry will become victims of inspector Raj and unbridled powers given to officers at Check posts. I request all to go through Draft rules at link provided above and register their protests/objections/suggestions though last date has passed. Unable to fill the consignee details like address Tin No.The option is not on. How to create e way bill? is it mandatory to fill correct checkpost & expected date to reach at checkpost? Hi My Company have only OMS Purchase so when can I upload e way Bill it is on after receiving of goods or on after receiving of Invoice. please help me about this problem. I am confused about this problem. hey, you have conveyed this message in a very simple and understandable manner. thank you. What is the status of implementation of this act. Is it in force from 25.07.2014 onwards or postponed.. Unable to update consignee Adress and TIn number. most of the colourm are inactive. how can we get way bill. The official are not considered practical problems. Has everywhere proper infrastructure is available to get e-way bill online. Has every transporter is well educated to issue this e-way bill. So many transporters are illiterate even they don’t know about computer how can they issue e-way bill and transit bill. So many traders have man power problem. And beside this electricity, net connection problem is their. As per the new notification of Maharashtra regarding implementation of way bill from 25th of July. It is also required for export consignment if we send the material from Gujarat. Pin code no 600019 for Thiruvottiyur , Chennai does not appear in the list of pin codes pertaining to Tamilnadu since we are getting material regularly from this area . Sales tax dept has to upload this pin code in system. For e-commerce business this will be chaos. As they will have to file Form 901 or Form 902 wherever applicable for individual customers on daily basis. It will be difficult for business man to do the business , empowered the babus to earn the extra black money, it will encourage the corruption nothing else, as all know 22000 crore transaction take place in india through transport without in evidence . Notification came on 23rd May and 23rd June. Your article is out on 22nd July. last date for filing objections is 25th July. I request Tax Guru to publish such article immediately on notification. Check posts will be followed by LBT soon. It is very unfortunate that lawmakers do not consider practical difficulties and continue making and implementing one or another Law without spreading awareness and without taking affected class into confidence. I have studied rules and prima facie appears that Government has taken it as granted that in India, particularly in Maharashtra, all Dealers/ Traders are very qualified, have world class infrastructure and are equipped with world class electronic facilities and good connectivity. These rules appear to be framed considering India as most developed country and at the same time government carries ill feeling towards business community. That is why each and every rule / Law is giving unlimited power to bureaucrat, even to lowest ranked officers and tend to refresh memory of Inspector Raj and speak of orthodox mentality of Lawmakers. E way Bill concept is being introduced to monitor Cross border transactions hence establishing check posts inside the State (Sr.No.23 to 30 of Table of check posts) will prove to hamper free movements of goods and will invite unwanted harassment by officers. establish them at border only. 2-3 times at interval of one week. 3) Give at least 2 months for objections / suggestions.